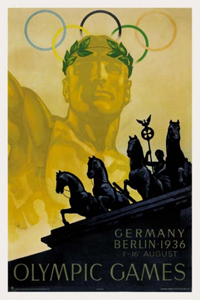 BERLIN, Aug. 5, 1936 (AMP) — Berlin 1936 : Poland defeated Hungary by a score of 3-0 (halftime: 2-0), in a Olympics group stage game on Wednesday. Poland advance to the next round of the ongoing Olympics. Hungary is eliminated.